NEW PRICE! ***Enjoy long range views in desirable High Vista! Watch the sunrise from one of the covered decks! There is lots of room for a large family, whether they are visiting, or still at home! The family can relax in the expansive lower floor, while you enjoy a master, gorgeous kitchen and spa like master bath on the main floor! Open floor plan, with just the right amount of spacial definition. Live on a quiet street, on a low maintenance landscaped lot that is within walking distance to the best of club amenities. There is a swimming pool, playground/park, tennis, even a club restaurant! Golfers in the family can be on hole one, ready to tee off in no time! This great home is the best of all worlds! 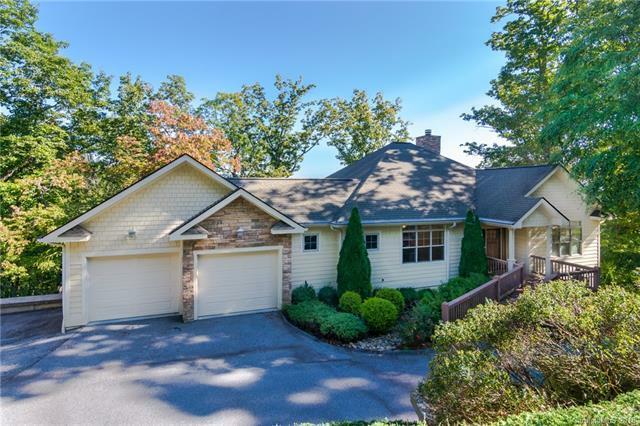 Sold by Asheville Realty Group.